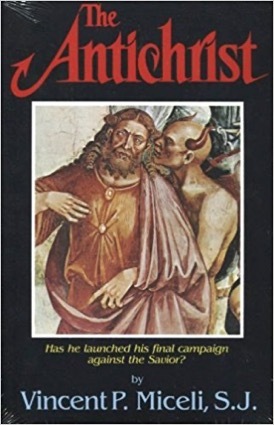 With the all too serious and burgeoning crisis of the End Times which seem to be in every way upon us, let us return forthwith to the study of the “Antichrist” masterpiece by Fr. Vincent Miceli, S. J. in order to educate us to the very imminent danger of this final attack of the Antichrist and the necessity of our being wholly prepared for its arrival , upon us, the Church, and our God. “Surely,” continues Newman, “there is at this day a confederacy of evil, marshalling its hosts from all parts of the world, organizing itself, taking its measures, enclosing the church of Christ as in a net, and preparing the way for a general apostasy from it……..This Apostasy and all its tokens and instruments are of the evil one and savior of death.” How does the Evil One bring about the apostasy? Some of the principal texts from Scripture that Newman uses to indicate the final worst persecution, that of the Antichrist, against the Church are here quoted, says Miceli: “Another shall rise after them, and …..he shall speak great words against the Most High, and shall wear out the saints of the Most High, and think to change times and laws, and they shall be given into his hand until a time, times and a dividing of time: that is three and one half years. They shall pollute the Sanctuary of strength, and shall take away the Daily Sacrifice, and they shall place the Abomination that makes desolate, and such as do wickedly against the Covenant shall be corrupted by flatteries; but the people that do know their God shall be strong and do exploits. And they that understand among the people shall instruct many; yet they shall fall by the sword and by flame, by captivity, and by spoil many days. d two hundred and ninety days. Fr. Miceli continues: “The early Christians interpreted these passages as terrifying persecution which the Antichrist would inflict on the Church in the last days. All previous persecutions were considered pallid preludes to the final tribulations. For in all previous persecutions the Church had also been somewhat sheltered in various places. In the final, universal persecution she will have no place to hide. Moreover, never before was a persecution attended with the cessation of all religious worship. But in the final trials, “they shall take away the Daily Sacrifice,” words which the early Fathers interpreted to mean that the Antichrist will suppress for three and a half years all public religious worship. Instead the Antichrist will have himself set up, in the symbol of the statue struck in his image and likeness and miraculously made to move and speak by the power of Satan, in the restored Temple of Jerusalem, there to receive the adoration and other honors from his idolatrous followers. Fr. Vincent Miceli, S. J. goes on: It is certain that the final persecution has not yet come and that we must therefore prepare for its arrival. All ages in the Church have been convinced that Scripture has foretold this coming catastrophe. Every generation of Christians has been on the watch, looking out more anxiously as time advances. Signs do occur in history from time to time, not to fix the day, but to remind us that the Antichrist and the final struggle between the Church and her enemies is daily approaching. Other signs tell us that the universe and the planets are growing old; our earth keeps crumbling away under the forces of nature and the abuse of man. The night is far spent; the day is at hand. Shadows begin to move; the old forms of the roman empire, with us from the time of Christ, heave, tremble, and nod toward a fall. (the world today) When they go, the Antichrist will be released, announced and acclaimed. But he will disappear in a short, fearful season. And then Christ will come in power and glory. As Fr. 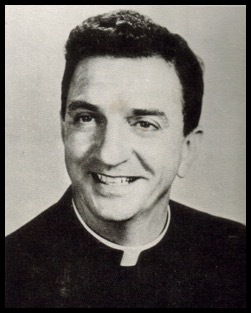 Vincent Miceli, S. J. continues: One might use the analogy of a man slowly dying on his bed for the present condition of the Roman empire. It exists and yet does not exist. It is not dead yet on its deathbed; it lingers, rallies, fails. It is a matter of time; the illness is terminal, but the exact day of its demise is uncertain. It will die, no doubt, with some violence and convulsions. The Antichrist is the head of this empire, but the empire must finally die to make way for his ascendency to full power. Thus death is hastening forward, surely, irrevocably, whether it takes a few years more or less. It may come after our time or that of our children, for we are all creatures of a day and a generation is like the striking of a clock. But the empire, the world, human society are tending to dissolution; their days are fast running out, ever decreasing in numbers. “It may not be a persecution of blood and death, but of craft and subtility—not of miracles but of natural wonders and marvels of human skill, human acquirements in the hands of the devil. 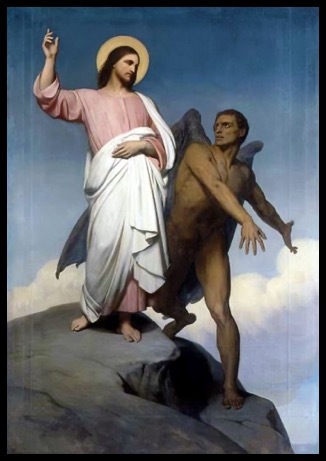 Satan may adopt the more alarming weapons of deceit---he may seduce us in little things, move the Church, not all at once, but little by little from her true position. He has had much success in this tactic in the last centuries. He has moved every part of the Church away from the truth of Christ, from the old faith upon which it was built. It is Satan’s policy to split us and divide us, to dislodge us gradually from the rock of strength. When he has divided the whole of Christendom, the final persecution may come. When we are full of schism and heresy, what better time for the appearance of the Antichrist? When Christians have flung themselves into the arms of the world, Christ’s enemy, when they depend for their protection on the world and have surrendered their independence, honor and strength to its approval, then will the Antichrist burst upon them in fury, then will the idolatrous nations open the flood gates of wickedness and overrun the Church and the world with the hatred and cruelty that is let loose from the abyss of hell. Then will Satan and the Antichrist have their hour, their last hour of darkness upon the earth. For they and their wicked followers will suddenly disappear into the never-ending darkness of eternal perdition. Let us consider carefully, now, what is the truly orthodox Roman Catholic liturgy and make sure we are fully aware of how this correct knowledge of the faith can save our souls! ayer. I try to spend three hours everyday in formal prayer. I know too much theology. I know too much about God’s will. Either we pray or we will not be saved. It is further well known that progress in virtue and growth in holiness, depends on fervent and frequent prayer. What is, perhaps, not so well known is that prayer has interior depths and is not exactly the same in the ecstasies when we go through some of the great experiences of the saints as in Francis of Assisi and Catherine of Sienna, especially in the depths of those souls in love with Christ the Savior in prayer when this prayer is joined with suffering willing undertaken as evidence of a generous heart. How much I could say!” said Fr. 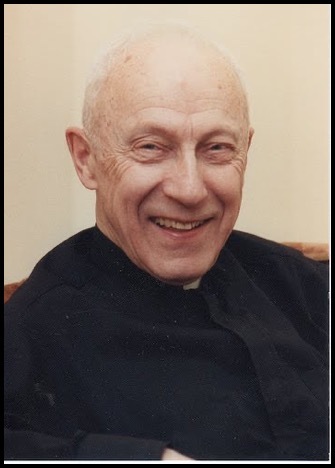 John Hardon, S. J. “Happiness in this world and happiness in the next. Both use the same adjective. Happy. But what a difference! There is such a thing as cheap prayer, I call that comfortable prayer. There is such a thing as dear prayer. I call that sacrificial prayer. I don’t know where the idea came from that the essence of prayer is just praying and presto and we have satisfied our prayerful duties and go on to others. Not so! Prayer is an ongoing enterprise. It depends on formal expression of what I say to God, which may not be much, yet with what I endure and suffer for God it can be very much!” Fr. 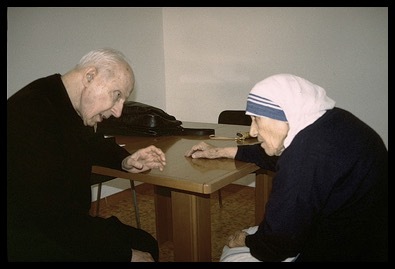 John Hardon, S. J. Now all universally agree that prayer is important to some degree to God, but what kind of prayer is it? Does God consider our prayer worthy? Is it thoroughly efficacious? Many Christian religions spend much time in praising God, or petitioning him. But how many in repenting of their sin and expressing efficacious sorrow for their sin? Virtually none! Consider how Fr. 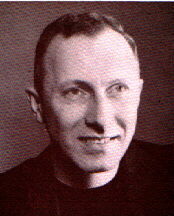 John Hardon, S.J. has taught so powerfully that “we must worship the whole Christ when we pray to God not just the Infant Newborn Son of God in Bethlehem, but also the naked God on the Cross as the Condemned Criminal!” This is why God cannot hear such prayers to Him that are unworthy, for they spend all their time praising him and then petitioning Him for favors and gifts of all kinds. This is the story of protestantism in all of its traditions and splintered denominations. And, most pertinent of all, this includes the New Mass of the Second Vatican Council, a totally non-salvific and inefficacious and graceless Mass since its inception. Why is this true? Let us begin to unravel this conundrum presently-- the clandestine, diabolical and subtle work of the Antichrist. of my salvation, then shall my tongue extol Thy justice. O Lord, open Thou my lips and my mouth shall proclaim Thy praise! and burnt-offerings; then shall they offer bullocks upon Thy altar. 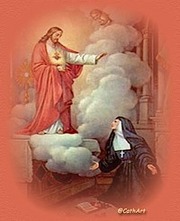 Therefore, let us understand that the only prayer that God will hear or accept and the only legitimate sacrifice to Him is the one from a humble and contrite heart! If we consider the holiest prayer that any man can offer on the face of this earth, viz. 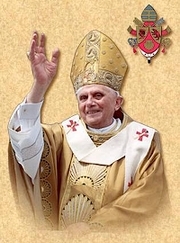 the Catholic Mass of the Ages, we see devastation in the last 50 years with the creation of the New Mass at the Second Vatican Council by the modernist Pope Paul VI; it is absolutely clear that prayer and sacrifice for sin have been abandoned to please the world and these modernist times. Be certain that no modernist pew catholic of the day wants to hear about a God one offended, and committed sins against or owes much penance, reparation and sorrow to! No, your new modernist catholic of the day wants the feel-good religion god of the senses --where the priest never preaches of sin, the Sacrament of Confession, penance or repentance for all of one’s sins. On the contrary, the God of the real world is one who died an ignominious death on a Cross for everyone of us and our sins--the God of the true faith in the immemorial Tridentine Mass of the ages! 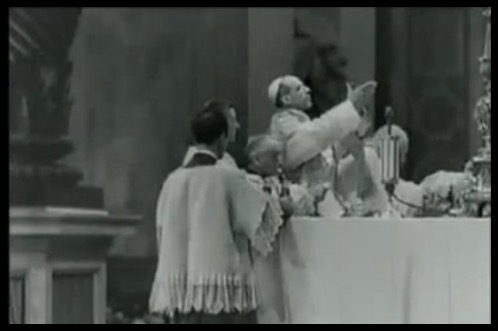 How many priests have the love of God today in their hearts to say this Mass of the Ages or bishops, or popes since the holy papacy of Pope Pius XII. Virtually none! Folks, we are living in the modernist heresy of Ecumenism all from Vatican II for nearly 50 years or more now! God save us from this modernist Teilhardian Pope Francis and his scheming for heretical Ecumenism and the diabolical designs of the Antichrist!!! Pray how did such modernist Catholics come to be in the last 60 years but from the New Mass and Vatican II--that sees no sin in other religions because of this modernist heresy of Ecumenism of the Second Vatican Council variety which sees no sin in seeing a pope like St. John Paul II worshipping at the Wailing Wall or inside an Islamic Mosque, or all religions praying at the home of St. Francis Assisi with St. John Paul II in ecumenical frenzy! Or this heretical New Mass and Council gladly views a pope like Francis who sees no need to advise abject sinners to confess as with the obvious objective sin of homosexuality when he so boldly stated with all the heterodoxy in him to the public media : “Who am I to judge?” Thus, why Catholics do not call evil, evil anymore in the Sacrament of Confession is no surprise or who attend the New Mass which is one big happy meal celebration, or a protestant praise banquet and not a sin-sacrifice is likewise no wonder! If you do not pray to God correctly you will lose your soul, and not truly praying in an orthodox Roman Catholic Mass is this aberration at its worst. The New Mass has wreaked ruin upon the Catholic Faith in the last 60 years and these times so that virtually no one, no longer, knows how to accuse himself of sin by attending frequent Confession as in the past when Catholics everywhere lined up in pews to confess their sins on Saturdays in order to receive the Holy Eucharist most worthily! Thanks to the ecumenical popes John XXIII, Paul VI, St. John Paul II, Benedict XVI, and now the infamous Francis, we have a Catholic Church that has become like the world, where no sin exists and few souls remain who are repentant at Mass or in the Confessional box. “I’m ok and you’re ok” is the Antichrist mentality of Francis, one of the most unorthodox popes of recent times. Such an flippant outlook can lead many, many souls to hell and purgatory. Fr. 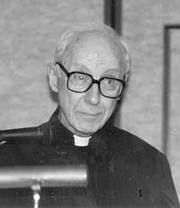 John Hardon, S.J. taught that for Modernist Catholics of this ilk who do not have an active knowledge of their faith, but a passive one, they most likely will end up in purgatory or hell for all eternity. In fact, one who has an active knowledge of his faith practices the virtues and is therefore charitable and kind of speech; moderate in the use of food and drink, is modest in dress, and even- tempered. When such a soul has such an active conscience he can rightly accuse himself of sin and not entertain a passive practice at all of one’s faith which can easily result in punishment or damnation for one’s soul. Thus the importance of the Tridentine Mass of Ages in order to save one’s soul. 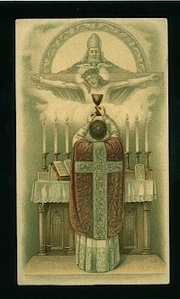 In the two Masses, the Tridentine Mass mentions sin and our need to repent throughout, as well as teaching this doctrine vigorously, while the New Mass, avoids any mention of this largely because of the “community meal” mentality of “I’m ok and you’re ok!” Your New Mass modernist Catholic meal, is built upon the senses of “feel and touch”, be happy now not later in the hereafter. Therefore, keep everyone giddy, and feeling good with an experience of the happy religion of sense. No need for suffering, pain, and mourning for one’s sins now , so one can be truly happy in the next world because you suffered now, sacrificed now or put up with the pain of your neighbor today. This is the New Mass!!! Look and see the subtle differences in the two Masses. In the New Mass sacrifice for sin is not mentioned. Why? A mistake? You can be certain no mistake was made, but it was purposely perpetrated by the Protestants , the Worldly, and the Modernist formulators of the New Mass on purpose! 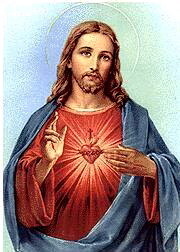 This is the work of Satan; this is the Antichrist so clever, so toxic, so lethal in stealing souls with the New Mass! May the Lord preserve us from Modernism and its heresy of Ecumenism and its innate desire to conform to the world, the flesh, and the devil as much as is possible! Clearly, there is only one orthodox and legitimate way to pray to God in order to be heard and that is with a “contrite and humble heart” as the most holy and orthodox Roman Catholic Mass of the Ages makes so plainly evident. Consider how cunningly the Antichrist has worked in the last 60 years with the New Mass from Vatican II and the Modernists. 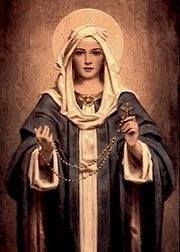 So craftily the devil makes one believe that the New Mass teaches one to pray efficaciously to God. And it does not! Oh it sounds so positive, the verbiage of the New Mass, always, for example: ‘let us pray now for the clergy--the pope, bishops, and priests and all ecclesiastical ministers. We pray for the dead, and all those sick and all those with a sincere heart, and those in hospitals, nursing homes, the elderly and our leaders and so on and so on’. But do you hear a word about the need to be holy, to stop one’s grievous sinning, to be repentant and confess properly before it is too late and the importance of praying for graces to be virtuous? The holy sacrifice of the Mass does no good for anyone, priest or people, who do not pray from and with a contrite and humble heart! How subtle and contriving can the Antichrist be to lure souls away from the most holy Sacrifice of Christ on the Cross; and for our multitude of sins by creating a sacrifice of the Mass, so full of strikingly pleasing and kind well-wishing, yet not for an end to sin and its victims to repent immediately! This is the New Ecumenical Mass that everyone can attend and receive the Lord in the most holy Eucharist because there is really no sin, no right and wrong, no Judgmental God Who will, indeed, dare to judge homosexuality and all sexual perversity that is unrepentant, as worthy of damnation and hell. And this is the reason, through the cunning of the modernists and the Antichrist, that few know how to pray worthily to God any more. rilous times of the Antichrist! To the Mother of God and all the listed saints in the Canon of Mass for their intercessions for our souls from their prayers and good deeds as in the Tridentine Mass of the Ages. 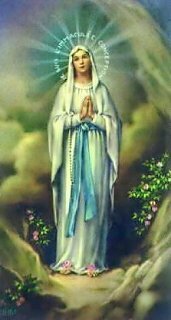 To Mary and the saints particularly Peter and Andrew after the Pater in full penance and repentance for our past sins, present, and that we avoid sins in the future. And no prayer again to the Trinity (the three special prayers before Communion of the Tridentine Mass) to the Father, the Son, and the Holy Spirit--for the faith of the Church through our contrite hearts, for our souls to give up all sin and cling to the commandments because of Jesus’ death for us. And to the Holy Spirit that we may not receive unworthily but that the most holy Eucharist heal us of any future sins. And again during the Ablution of the Sacred Vessels after Communion in the New Mass are the prayers present to God through the priest that we have pure souls of all sin and that we cleanse ourselves of the slightest sins or faults through the graces of this recent Holy Communion. And nowhere is it made clear in the New Mass that the priest himself must repent of his sins of which he confesses publicly in the Latin Tridentine Mass at the Offertory in order that God may forgive him of his countless sins, offenses, and negligences. At the washing of the hands during the Offertory the priest in the Latin Tridentine Mass indicates that he must be pure of soul so he can worthily speak of God and His holy miracles, which is not present in the New Mass at all. In fact, this whole psalm-prayer of the Old Mass was extracted completely from the New Mass. Nor at the gospel does the priest beg for a pure tongue of all sin in the New Mass as the Tridentine Mass so he can worthily recite the gospel’s holy words. 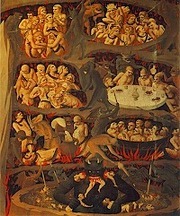 And the horrific confession of sin in the New Mass has no more substance than pious babble because it does not originate from a “contrite and humble heart” as in the Latin Tridentine Mass of the Ages, for no priest begs God for pardon, absolution, and remission of all sinners at Mass and himself as is so clear in the Latin Mass. Mind you, the Confiteor is recited twice--a second time just before reception of the most Holy Eucharist in the Tridentine Mass, so it may include even the slightest sins during Mass, however slight they may be, for a worthy reception of the Holy Eucharist. Moreover, the power of the priesthood to forgive sin is devastated in the New Mass but heralded on high to God in the Tridentine Mass! Remember the priest in the “Persona Christi” offers the Tridentine Mass of the Ages, throughout. However, in the New Mass the priest becomes just an ecclesiastical functionary. That’s it. No priest-sacrificer of the death of Christ on the Cross for our sins. There can be no sacrificial priest if there is no sin to sacrifice for--of the people, the priest, and the clergy. And finally, where does the New Mass show the presumably “contrite and humble heart” for sin anywhere as in the Latin Tridentine Mass of the Ages, that does this, everywhere, as is clear in the last prayer for God’s propitiation and mercy for all sinners and sin at Mass, including the priest at this sacrifice which he just offered, unworthily? WHAT A DIFFERENCE IN THEOLOGY, TRUTH, AND REALITY! God save us from Vatican II and the Antichrist and the New Mass--an illegitimate and unorthodox prayer to God that gives , absolutely, no graces to its participants who pray without a “contrite and humble” heart! At last, is there any doubt that the New Mass is heretical and that it was contrived to appeal to Protestants--no sin, the world--no sin, and the devil--no sin! Ecumenism as conceived by Vatican II and the New Mass precipitated in the 1960’s the loss of millions and millions of souls worldwide, the falling away of thousands of priests and nuns! 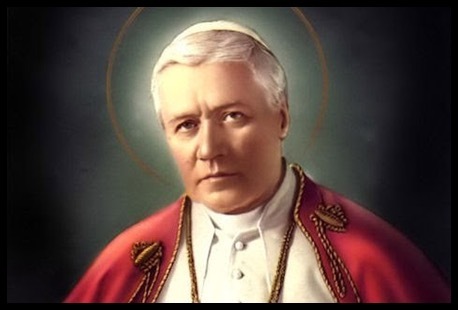 And be certain, that this vicious heresy of the Antichrist continues apace with today’s cardinals, bishops, and priests who have neither the love of God to end it or the courage necessary to do so or the Catholicism to say this glorious Latin Mass of the Ages in public themselves! In consequence of the Vatican II heresy of Ecumenism and the New Mass of over 50 years duration now, and to which most Catholics worldwide are totally blinded by the Antichrist, without a veritable flotilla of angels and saints to suppress, condemn, and eradicate it, the inevitability of the apostasy of the Church in its final days is directly upon us, with the most unorthodox and unholy Pope Francis in history and a hierarchy who are likewise weak, effeminate, and pusillanimous!